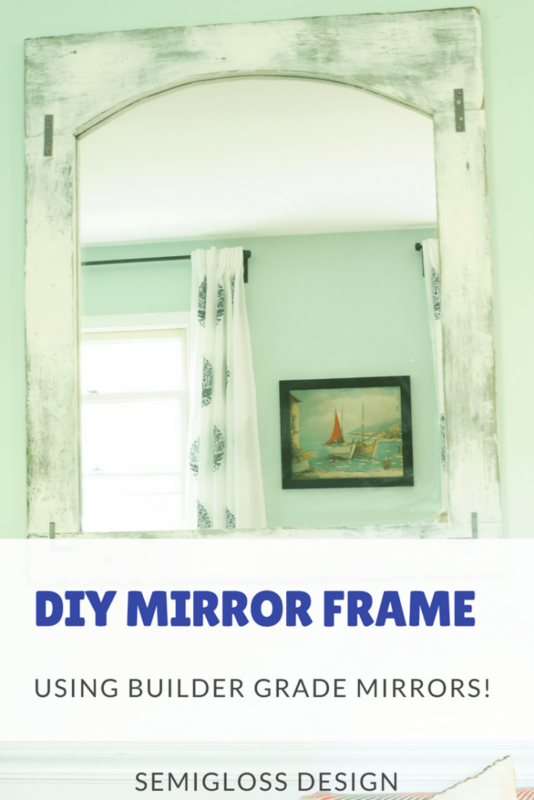 Learn how to make a mirror frame for your builder grade mirrors. When we first bought our house, both of the bathrooms had your standard mirror without a frame. I removed both of them and sat them aside to use somewhere else. It took me a while to come up with an idea for them, though. The idea recently came to me. At this time of year, my house that is surrounded by trees feels a little dark. I knew that adding mirrors to my living room would help brighten it up, so an idea was born. 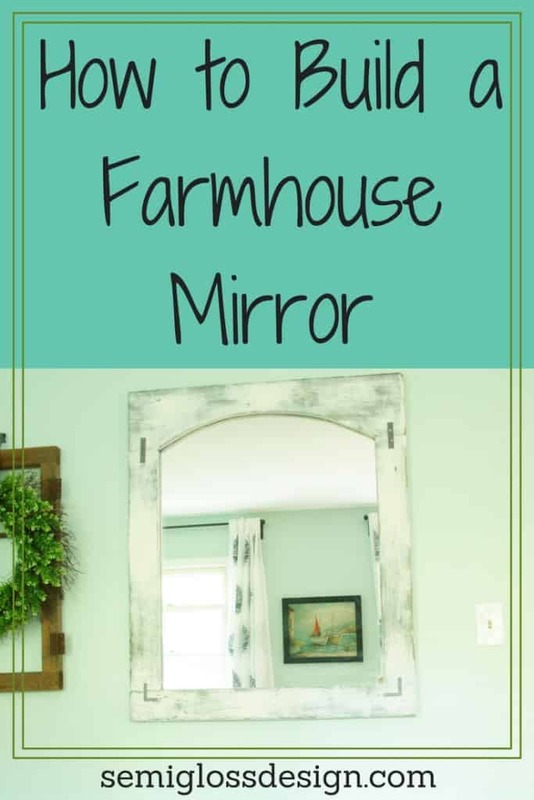 Determine the size of your farmhouse mirror frame. 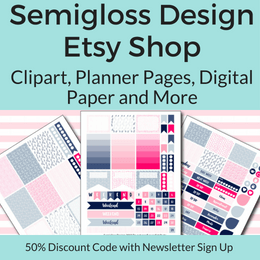 My existing builder grade mirrors are 30″ x 36″, so I made my mirror frame equal out to 32″ x 38″. Optional step: beat the wood up. I knocked it around and beat it with pointy stuff. I also took a chisel and knocked the edges off in places. 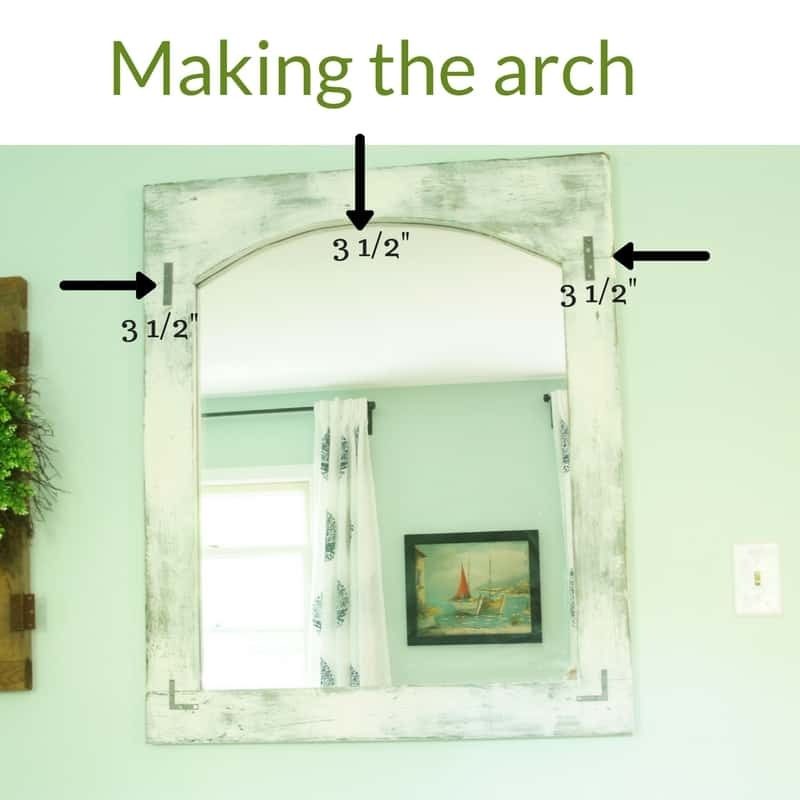 For the arch, I measured 3 1/2″ from the edges of the board (since I used 1×4’s – actual measurement) and 3 1/2″ from the top. I placed nails at those 3 points and used a thin piece of flexible wood to draw the arch. (It snapped when I tried to take a picture of it.) Don’t worry about perfection here. Then I used a jigsaw to cut the arches. I sanded the edges really well. 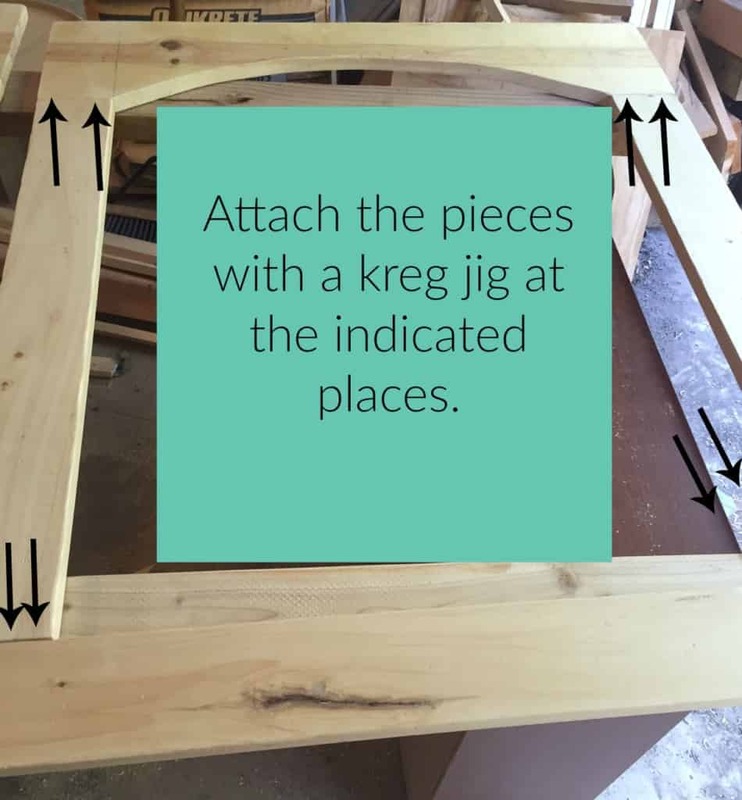 Make your cuts and attach with a kreg jig. I attached the shorter vertical pieces to the horizontal pieces. Flip it over and stain the front. 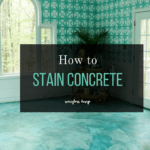 Once it’s dry, start applying layers of paint. I probably used 6 colors in all, with white as my last color. When I was applying the paint, I made sure to slop it on. I wanted brush marks and drips. 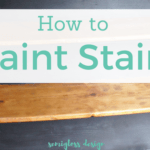 When the paint is dry, sand to reveal layers of paint. 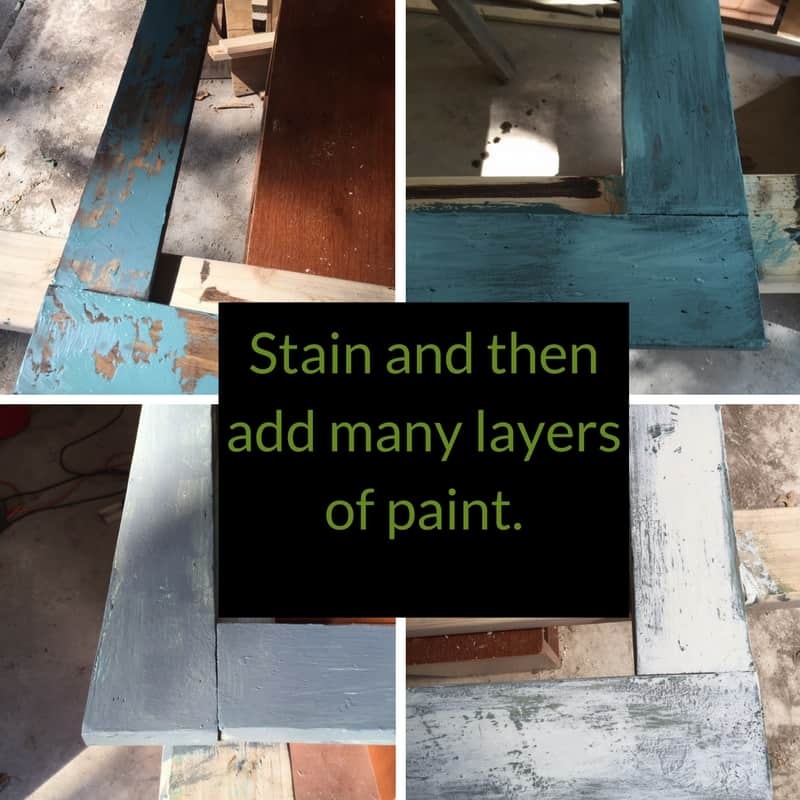 Spray paint the decorative metal pieces and attach them. I used a sharpie to color the screws. This part stumped me for a while. Most instructions advise to add a thin layer of wood on the back and glue the mirror to it. Glue gives me anxiety and I didn’t want to add more weight to an already heavy mirror. Finally I came up with a much better solution! Flip the frame on over so that you’re looking at the back. Lay the mirror on top of it, face down, making sure you leave equal amounts of space on all sides. I used these mirror clips, but could only do 3 sides with them because of how they attach. So then I found a few of these mirror clips in my stash. 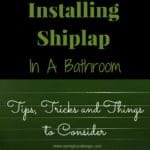 I recommend these 2nd ones for an easier install. I placed 2 mirror clips on the bottom, 1 on top, and 1 on each side. 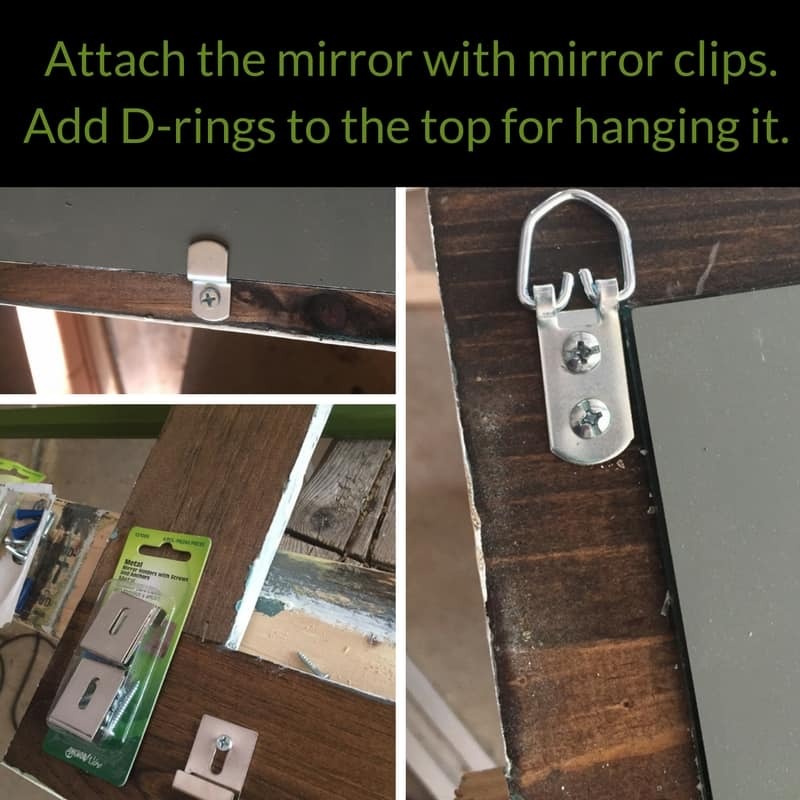 Install D-rings near the top of the mirror for hanging. This is a very strong way to hang these mirrors. Hang your beautiful mirror and enjoy it! 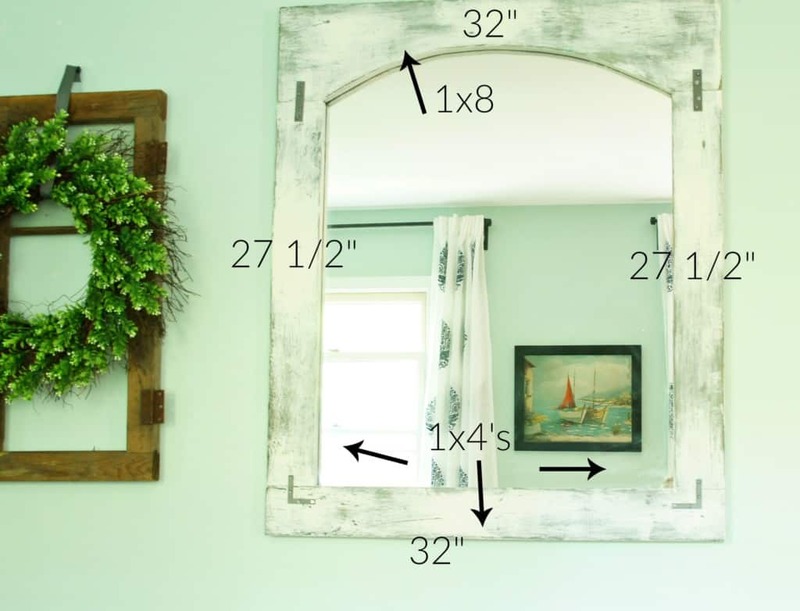 Now you know how to make a mirror frame! As you can see, I built 2 mirrors to echo my windows. 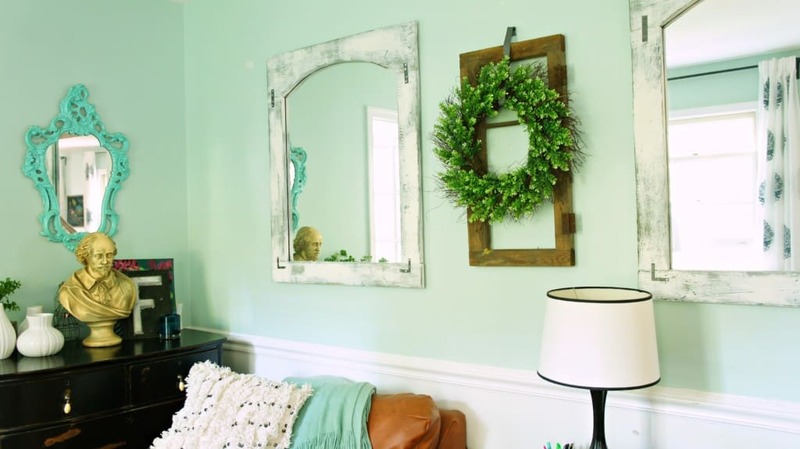 Pssst… Want to see how I updated these mirrors to match my decor? Gorgeous! And Willie came in to see, too. I think he likes it. 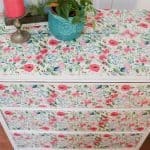 What did you do with your gorgeous paint by numbers collection?